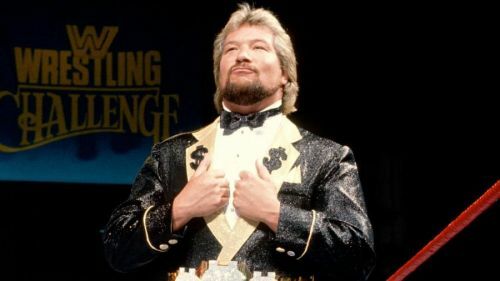 During a recent interview with Wrestlezone, 'The Millon Dollar Man' Ted Dibiase talked about his experience at the 25th Anniversary episode of Raw and JBL admitting that he stole The Million Dollar Man’s gimmick. Ted Dibiase Sr. is currently signed under WWE where he is working on the Legends initiative for the company. A former three-time WWE Tag Team Champion, Dibiase is considered as one of the meanest heels in professional wrestling history. During last week’s Raw 25, Dibiase made his return to WWE for the first time in over three years, when he was seen playing poker with the APA. About appearing on the 25th anniversary show of Raw, Dibiase said that returning to WWE was a great experience and it was indeed a great feeling for him to see everyone in the WWE once again. Dibiase added that at Raw 25 he had a lot of fun with JBL and praised the former WWE Champion by labeling him as a great and a smart guy. According to Ted Dibiase Sr., JBL apparently admitted to the fact that he had stolen The Million Dollar Man’s gimmick. Additionally, Dibiase also recalled clicking a photo with JBL and Alberto Del Rio and tagged the picture as "three generations of the same gimmick". As noted in an earlier section, Ted Dibiase Sr. is currently signed to a Legends deal in the WWE and fans can certainly expect to see the more of The Million Dollar Man in the future. The Million Dollar Man was one of the best heels during the Attitude Era and seeing him return to WWE TV is always a feel-good moment, and last week was no different when Ted Dibiase Sr. made a special appearance on Raw 25.